New York author TONY O’NEILL will join us on November 25th for a noir-filled night of novel reading, with a special support slot from GRAEME SHIMMIN, author of spy thriller A Kill In The Morning, DAVID HARTLEY, author of Threshold, and FAT ROLAND, author of Hey Hey Hey Hey Hey Hey Hey Hey And Other Short Fiction. 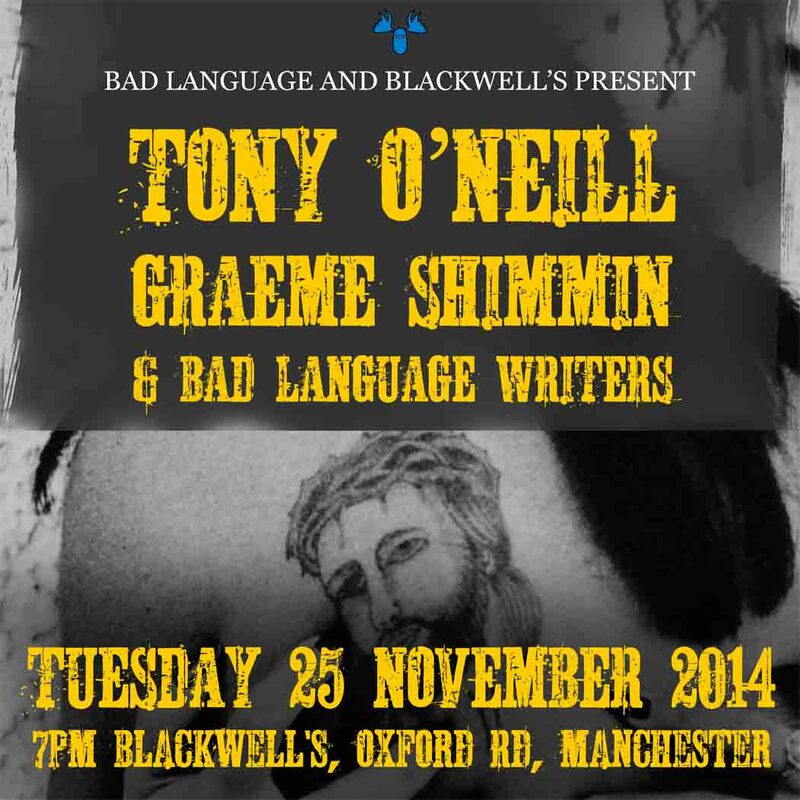 Tony O’Neill appears courtesy of Bluemoose Books and this event takes place at Blackwell’s bookshop, Oxford Road, Manchester on Tuesday November 25th 2014 at 7pm. Entry is free. Join the Facebook event page here.